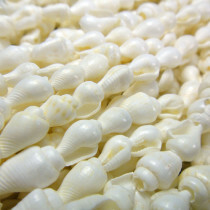 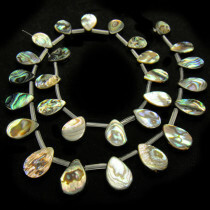 White Nassa 5x10mm (average size) Shell Beads (~80pce Strand) - 80cm/32'" Strand. 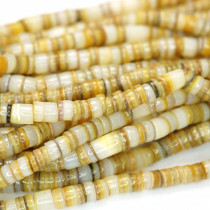 Gold Lip Shell 4-5mm Natural Heishi Shell Beads (~300pce Strand) - 60cm/24'" Strand. 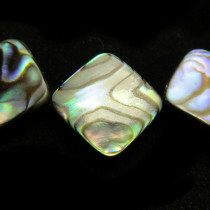 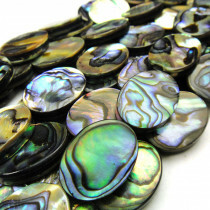 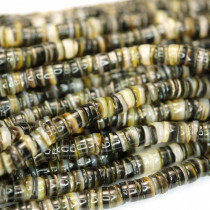 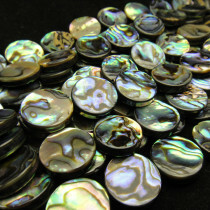 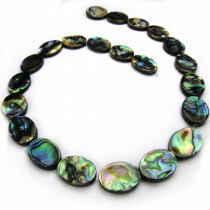 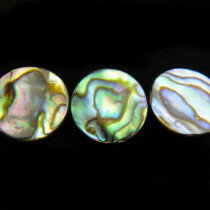 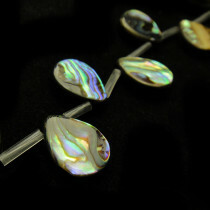 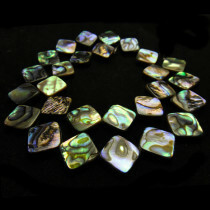 Black Lip Shell 4-5mm Natural Heishi Shell Beads (~300pce Strand) - 60cm/24'" Strand. 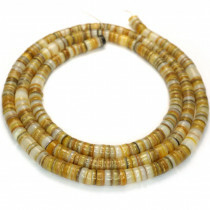 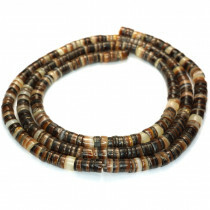 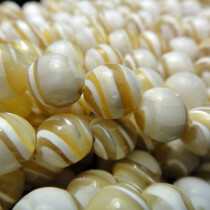 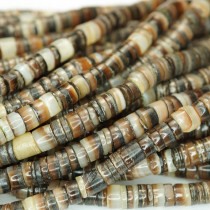 Brown Lip Shell 4-5mm Natural Heishi Shell Beads (~300pce Strand) - 60cm/24'" Strand. 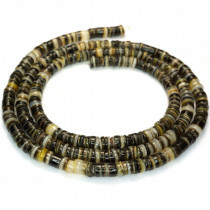 Troca Oyok Round 6-7mm Gemstone Beads (~66pce Strand) - 40cm/16'" Strand.